Check here often for special offers, clearance sales and other bargains. This elegant and versatile vase is suitable for displays in both the home and garden. Made from 302 Grade Stainless Steel makes them tough and durable. Troughs are perfect for creating boundaries around patios and verandas, or used along walls inside and out. 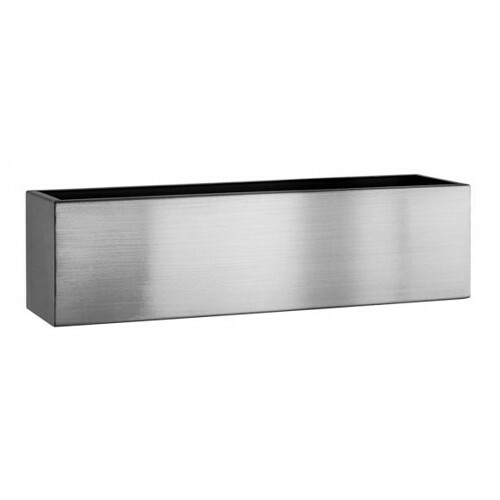 A classic cylinder planter in stunning polished stainless steel. A classic circular planter in stunning brushed stainless steel with an attractive top band. Egg Pot Vases are an exclusive design to Europlanters and can be used in or around the home. Egg Pot Vases are an exclusive design to Europlanters andcan be used in or around the home. Egg Pot Square planters are an exclusive design to Europlanters. Was £58.95, now £43.95 . This elegant and versatile vase is suitable for table top displays in both the home and garden. Made from 302 Grade Stainless Steel makes them tough and durable. Unrivalled elegance and a variety of sizes from table-top displays to 1000mm height for that grand entrance look.